!!! 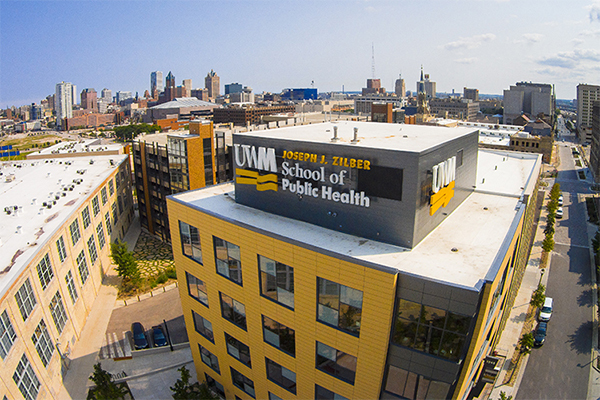 Zilber School of Public Health – Peer Recruiter (Up to 20hrs a week) !!! With the guidance of the Graduate Program Manager, this position assists the implementation of strategic student recruitment into current public health programs. The ideal candidate will strive to encompass the Zilber School of Public Health’s mission and vision of diversity and inclusion through each of their assigned responsibilities. With recruitment activities being essential, this position will have extensive interactions with prospective students through recruitment events, various media outlets, and face-to-face contact (occasionally outside of normal business hours on evenings and weekends). In recruitment off-season, this position supports daily administration of academic programs. For more information, check your UWM email the coming days or contact Katie or Karen. The Analyst is responsible for working with local and tribal health departments across Wisconsin. They may be located in any of the five Division of Public Health offices, and they should expect regular statewide travel and frequent virtual meetings. Through utilizing expert communication skills and principles of trauma-informed care, this position will use culturally sensitive and respectful approaches when working with local and tribal health departments, community partners, colleagues and all other stakeholders. For the fall program, Hunger Task Force will host one (1) Youth Ambassador working on initiatives related to school breakfast and potentially other Federal Child Nutrition programs (after-school meals, Summer Meals, etc.). Please click here for more information. The National Environmental Health Association (NEHA) is pleased to announce a call for applications for the 2018-19 Environmental Public Health Tracking: Tracking Mentoring Fellowship Program. We are seeking proposals from unfunded local public health agencies to work with a tracking program grantee on an environmental health project that utilizes tracking data. More information here.